Just four weeks after taking over as the new chief executive of Story Contracting, Jason Butterworth (Pictured below) said he was enjoying his return to the rail industry. 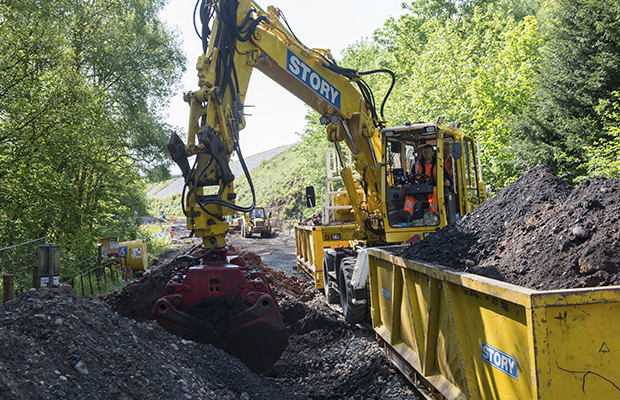 Story Contracting’s business operates in the rail and construction markets and is supported by its own plant division. The plant division, which has a fleet of more than 70 RRVs, and a large labour resource have given the company the flexibility to take on a series of challenging rail projects in recent years. Separately, the contracting business launched a new house-building division last year, Reiver Homes, with homes already sold in Dumfries and Galloway. Jason is currently visiting Story project sites around the country. One of his first stops was Eden Brows, where Story is helping Network Rail to reinstate a section of the Settle and Carlisle Railway north of Armathwaite which was destabilised by Storm Desmond last year. The line is due to reopen in March. Story, which will celebrate its 30th birthday this year, is also involved in several large schemes that are just getting underway. The company is the principal contractor for Network Rail on the Wirral line track renewal project of the Merseyrail underground loop which began at the start of January. This is the final phase of a renewal project which began in 2005 and will be carried out up until June. It will involve the breaking down and replacement of 1.2 km of slab track, including the installation of new base plates and new running rails. Story estimates that the contracting business will grow by 30 per cent this year and in November 2016, the company opened a 25,000 sq ft extension of its headquarters in Carlisle to support this ambition. It’s not only Cumbria where the business is expanding. Story has offices in Chorley and a depot in Leeds, and is planning on merging its two offices in Scotland to build a combined depot and office hub located on the Central Belt. However, Jason is mindful that, as Story grows, it doesn’t dilute the culture that has made it successful. 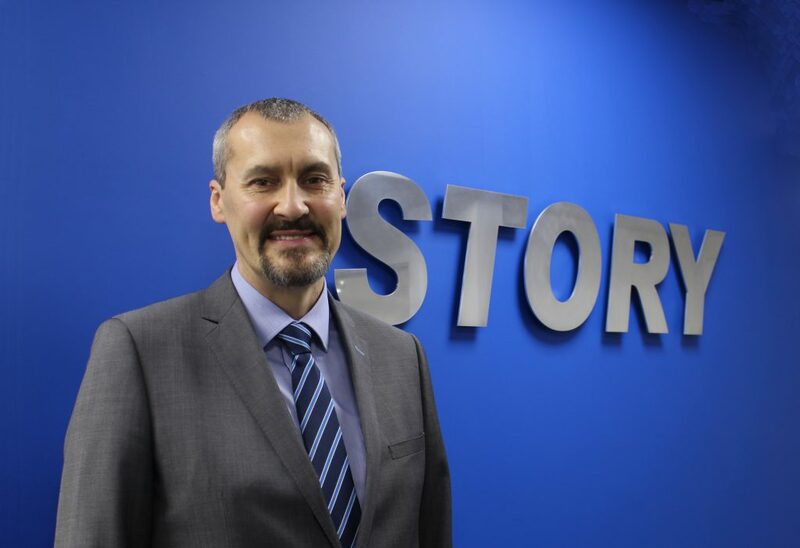 Although Story has its own training centre in Carlisle, it is planning to work more closely with local further and higher education providers. In particular, the company hopes to put together academic programmes with universities and colleges near to its regional bases to allow trainees to stay close to their projects and teams – an approach which will aid the recruitment and retention of candidates. A particular focus will also be put on apprentices, says Jason, who began his career as a building services engineering apprentice 30 years ago. Much has changed since then, he believes. Apprentices and graduates are more technologically savvy than they used to be and have more choice as to where to begin their career. With so many employers out to attract the best new talent, companies now need to demonstrate that they will put the professional development of their employees first, says Jason. It’s an objective that benefits everyone, especially the industry itself. Having held board positions for the past 15 years within the likes of WSP, McNicholas and Balfour Beatty, Jason is used to overseeing large geographic regions and sizeable teams, but, within just a few weeks, he has begun to understand some of the additional responsibilities of his new CEO role. Health and safety will remain a central priority, says Jason. He explained how Story was rolling out a behavioural safety programme to build on the company’s existing standards and good performance. Jason is also keen to refine the organisation’s governance and procedures, particularly around estimating and bid management. He wants to retain its entrepreneurial spirit but within a controlled growth plan.